When hearing loss becomes noticeable, turn to a hearing aids specialist. When hearing loss becomes noticeable, its impact on our lives is immediate. You’re unable to communicate as well with your family, friends and co-workers and this reduces the quality of your life. It leads to frustration, and in many cases, depression. Working with a hearing aids specialist can provide significant benefits. While it’s possible to purchase hearing aids without the assistance of a specialist, it’s not recommended. 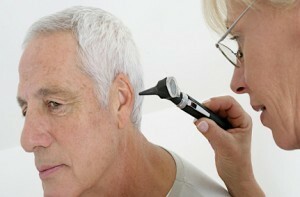 Hearing is very individual – your hearing loss, even if rated similarly, is not the same as someone else’s. There’s no one-size-fits-all solution here. A hearing aids specialist will ensure that you get the customized solution needed to improve your hearing and your quality of life. It all starts with a professional, thorough hearing evaluation. This test will generally last up to 45 minutes and will determine not only the extent of your hearing loss, but whether it is present in both ears, more prominent in one ear, and more. Based on the results of this evaluation, your hearing aids specialist may make recommendations about different hearing aids on the market, and even demonstrate them for you. Following the evaluation, you’ll go through your fitting and tuning procedure. This ensures that the hearing aids chosen fit perfectly on or in your ears, and that they are programmed specifically to your needs. At Pindrop, our specialists are here to ensure that you’re able to regain your hearing and enjoy the quality of life you deserve. Call us today at 416-484-4327 to learn more or to schedule your hearing evaluation.